A stethoscope is a medical diagnostic instrument used to listen to the internal sounds of the human body. Via the stethoscope a doctor can listen to the sounds of the heart and lungs during a diagnostic screening. 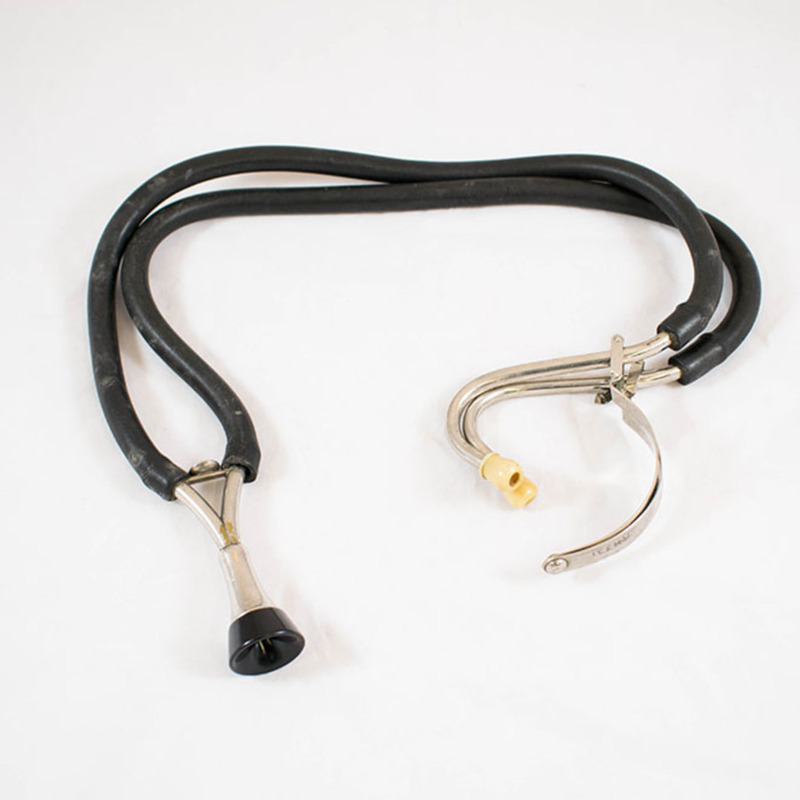 Unknown, “Stethoscope,” Heritage, accessed April 23, 2019, https://heritage.rcpsg.ac.uk/items/show/81. 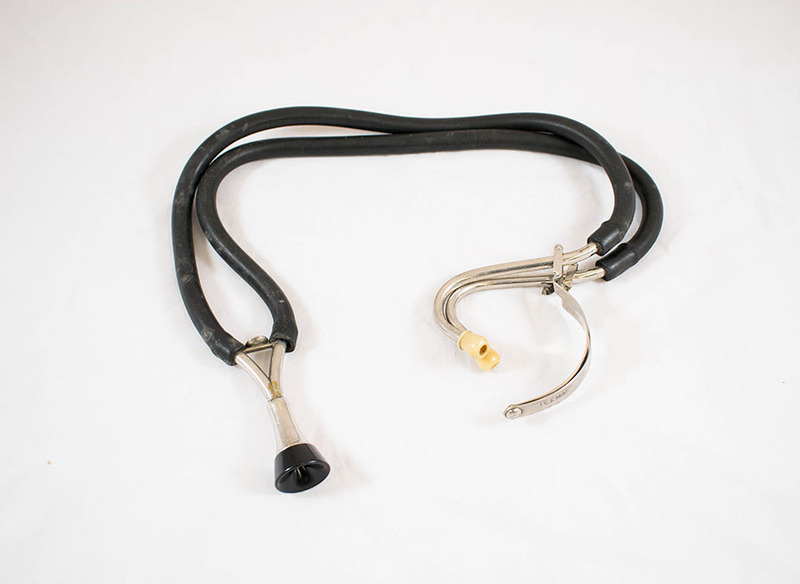 Description: Binaural stethoscope, c 1930s. A stethoscope is a medical diagnostic instrument used to listen to the internal sounds of the human body. Via the stethoscope a doctor can listen to the sounds of the heart and lungs during a diagnostic screening.